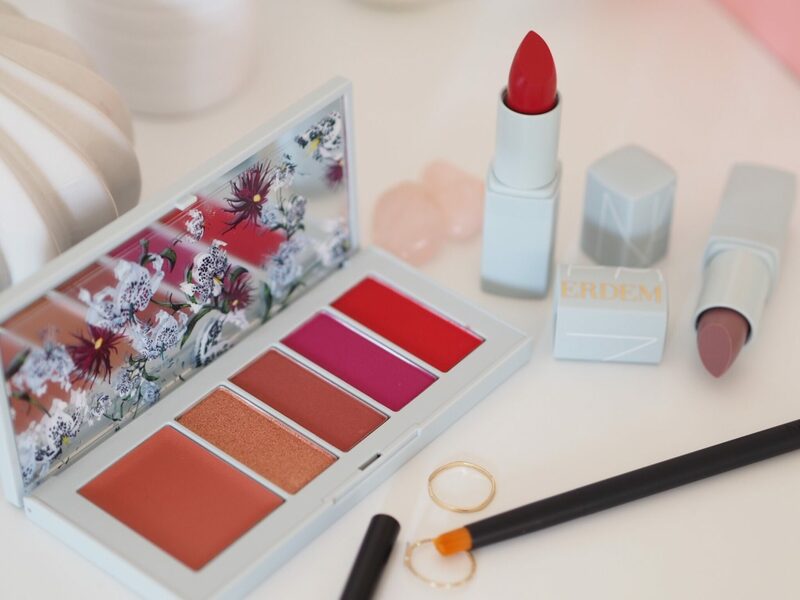 Earlier this year NARS joined forces with fashion brand Erdem to launch a joint collaboration limited edition collection. 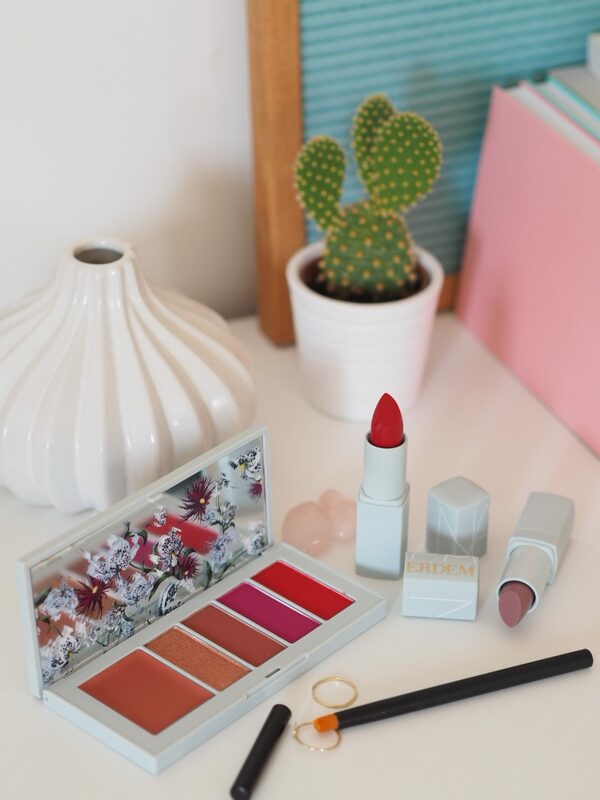 The collection is called ‘Strange Flowers’ and plays on the signature Erdem floral print styles along with the textures and bold colours NARS are famous for. Whilst the collection is limited edition, one place that still has it if you’re travelling this Summer is World Duty Free. Added bonus that it will save you a few pennies too. I have a selection of pieces from the NARSxERDEM collection that I want to share with you today – with a couple of favourites. The full collection features two eye palettes. One with soft nudes alongside a sort of dusty navy/grey and a muted plum. The other darker shades with a rich green, yellow-gold and more. 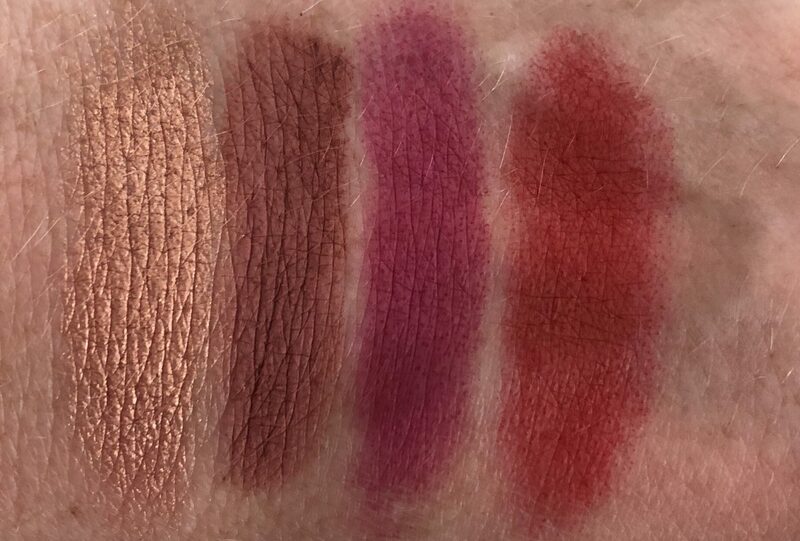 Then there’s a lip powder palette. Probably the stand-out for unusual or unexpected products in the collection. 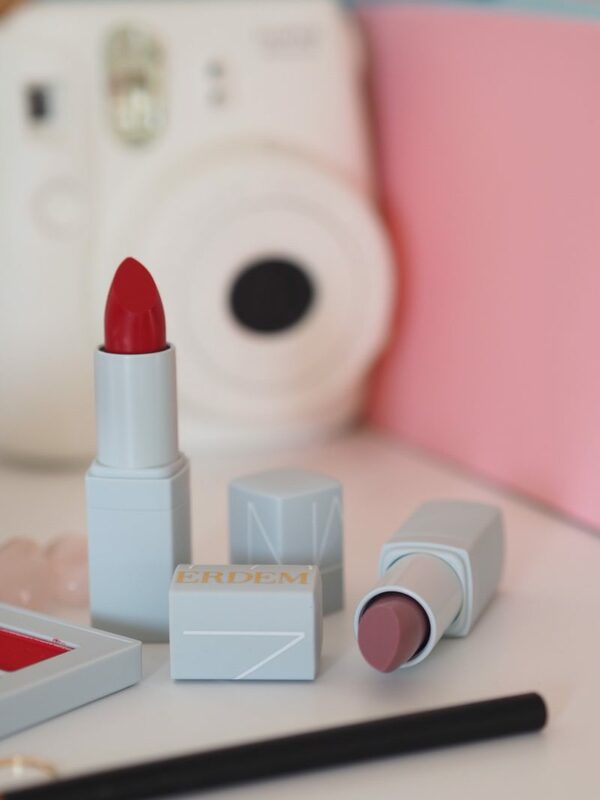 There are six lipsticks that vary from bold fuchsia to pale lilac-grey or even an almost pure black. Then there’s floral print blotting paper, a highlighting pencil, two blushes (both of which look lovely) plus a highlighting pencil. World Duty Free stock the collection in their stores that you can find departures-side at airports across the UK. It’s no secret that a touch of duty free shopping is one of my favourite things to do so I wanted to share these as I know it’s peak travel season for Summer holidays! 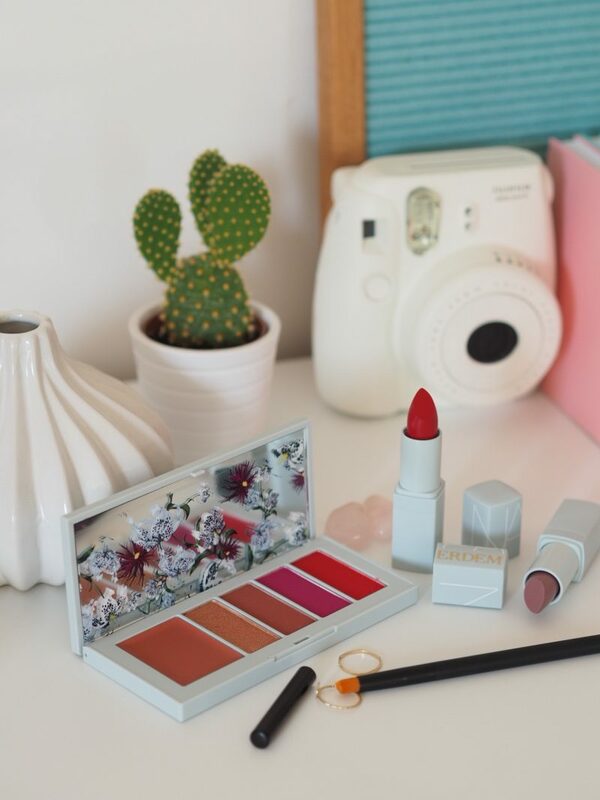 I have the lip powder palette and two lipstick shades – a pale lilac-grey shade called ‘Voodoo Lily’ and a bold classic red called Bloodflower. All of the collection comes in pale grey packaging rather than the signature slightly-rubbery black that NARS are known for. 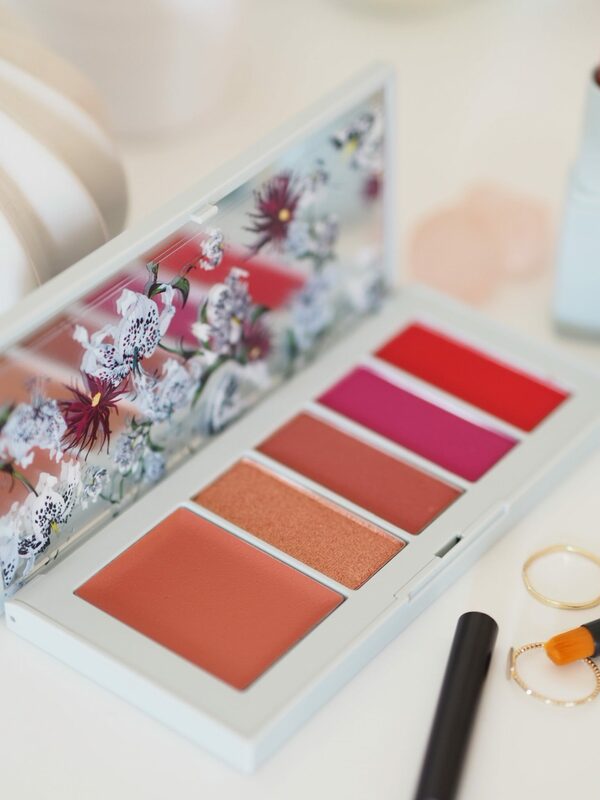 The lip palette also has a floral design on the lid. I really like the light grey packaging and would give a big old thumbs up if NARS decided to change to this permanently. But then I am a sucker for grey anything.